Suresh Prabhu said he had asked the civil aviation secretary to take necessary steps to protect passenger rights and safety. The government said on Tuesday that it had directed the secretary of Ministry of Civil Aviation to review the issues related to Jet Airways. In a tweet on Tuesday morning, Union Minister Suresh Prabhu said that Pradeep Singh Kharola will review the issues ailing the airline, especially increasing fares and flight cancellations. The statement from the government comes at a time the cash-starved carrier is grappling with a debt burden of $1.2 billion, and owes vast sums to lessors, suppliers, pilots and oil companies. The airline's board is meeting in Mumbai on Tuesday. He further said that Mr Kharola had been asked to "take necessary steps to protect passenger rights and safety" and work with the stakeholders for their well-being. The airline is operating with less than 10 planes, news agency Press Trust of India reported. 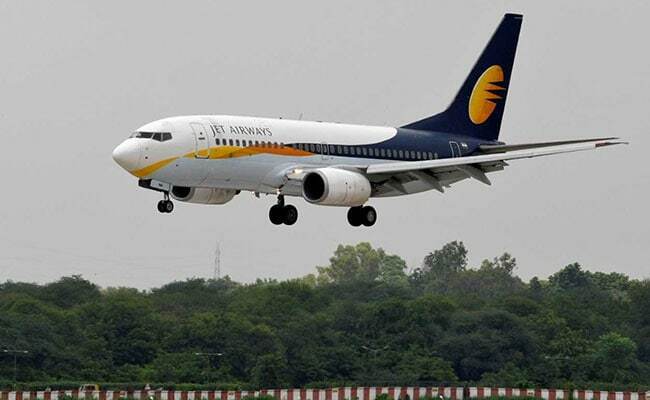 Jet Airways has been losing planes in recent weeks as lessors scramble to de-register and take back their aircraft, even as Jet's lenders have sought expressions of interest in the carrier from potential investors. It has also suspended its international operations for the time being. Jet has been struggling after failing to receive a stop-gap loan of Rs 1,500 crore from its lenders as part of a rescue deal agreed in late March. On Monday, the lenders did not take a final decision on providing emergency funds to the cash-strapped carrier. Lenders, led by the State Bank of India (SBI), want a new investor to buy a stake of up to 75 per cent in Jet and initial expressions of interest were submitted last week. Shares in Jet Airways dropped as much as 4.43 per cent on Tuesday, underperforming a broader market that scaled new record highs.